There are few tougher decisions than trying to decide what is best for an elderly person struggling with mobility issues. Parents who do struggle with such physical issues may be reluctant to leaves their homes, even multi-story homes. This is where a stair lift can become a life-changing solution. Stair lifts can be added to the home with minimal construction. This and cost sets it apart from other mobility options like home elevators. The ability to stay a home and maintain or reclaim some independence will likely be very important to an elderly parent. In terms of lifestyle and cost, moving an elderly parent from a home to new home can be emotionally troubling and financially difficult. 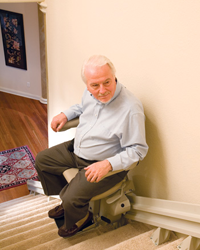 Instead, a stair lift can be instilled at a fraction of the cost of a new home or living facility. If cost is still an issue, there are financing options. Stair lifts can be installed in most homes. There are stair lifts that work with straight stair cases and stair lifts that work with curved stair cases. There are also stair lifts designed to work outdoors. Most stair lifts attach to the stair case, not the actual wall. 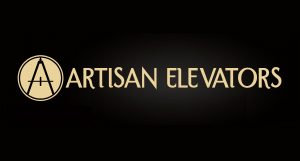 Remember, a professional should always be the one to handle the stair lift installation. The right stair lift will allow a person to go about daily life without changing daily habits. A person’s ability to remain self-sufficient in life’s later years is very important. Indy Stair Lifts has several different models to choose from, including the Indy Pinnacle, the Indy Curve and the Indy Outdoor stair lift.